KUALA LUMPUR (Reuters) - U.S. Department of Justice officials have asked Deutsche Bank AG and JPMorgan Chase & Co to provide details on their dealings with 1MDB, as global investigations into the troubled Malaysian state fund widen. U.S. Department of Justice officials also traveled to Kuala Lumpur to speak to senior bankers and other people with close links to the state fund, three people with direct knowledge of the matter told Reuters. They said JPMorgan (JPM.N) and Deutsche (DBCBW.PK) were not the target of investigations at this stage, but had only been asked to provide details. Malaysia's Attorney General, who was hand-picked by Najib, cleared him of all criminal offences in January, declaring that $681 million that were deposited into his personal bank accounts were a gift from Saudi Arabia's royal family. The Wall Street Journal reported in March that more than $1 billion was deposited in Najib's account and global investigators believe much of it originated from 1MDB. 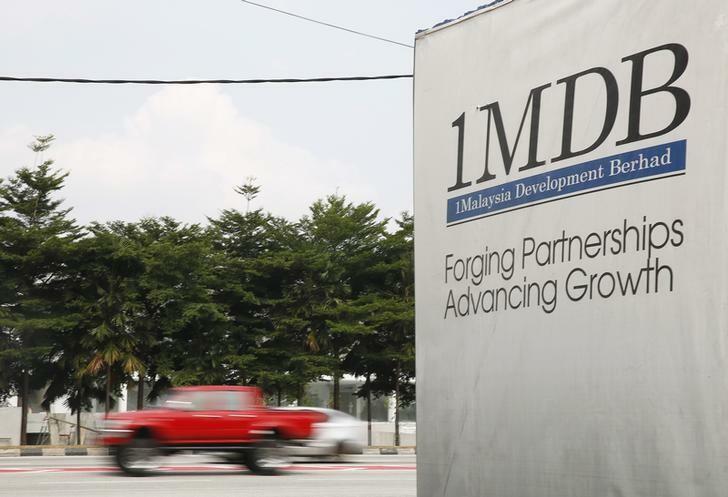 The fund has consistently denied these claims and repeated again on Thursday that no 1MDB funds went into the prime minister's personal accounts. The U.S. government is already reviewing Goldman Sachs' (GS.N) relationship with the Malaysian fund. A Federal Bureau of Investigation team specializing in "international kleptocracy" is leading the bureau's inquiries, a person familiar with the matter told Reuters last year. Singapore's central bank said on Friday it had asked financial institutions to provide details of any transactions linked to 1MDB, without identifying any lenders by name. The burgeoning 1MDB scandal has rocked Najib's government as public outrage over the alleged mismanagement and corruption grows. The scandal has fueled a sense of crisis in a country under economic strain from slumping oil prices and a prolonged slide in its currency last year. Mahathir Mohamad, Malaysia's longest-serving leader and once Najib's patron, has become his fiercest critic and is leading a campaign to oust the prime minister with the support of some opposition leaders. On Thursday, Luxembourg's state prosecutor launched a judicial inquiry into allegations of money laundering involving hundreds of millions of dollars against 1MDB. Malaysia's central bank also said it would pursue administrative action against 1MDB for missing a deadline to submit documents on its finances abroad.